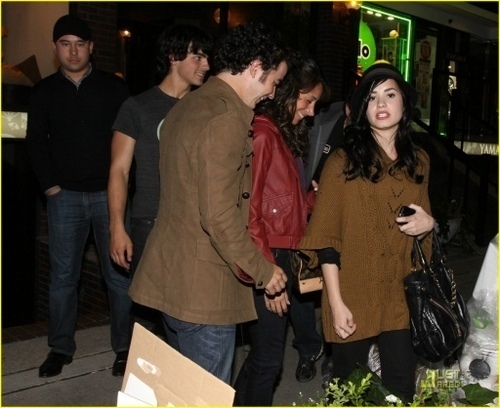 Joe, Demi, Kevin & Danielle in Toronto . . Wallpaper and background images in the The Jonas Brothers club tagged: joe jonas demi lovato danielle delasa kevin jonas jonas brothers. This The Jonas Brothers photo might contain street, city scene, urban setting, box coat, outerwear, and overclothes.